#9 White Paper	What’s Missing From Your Lean Initiative? Simply put, poorly maintained equipment leads to production downtime, lost revenue, dissatisfied customers, and low morale. 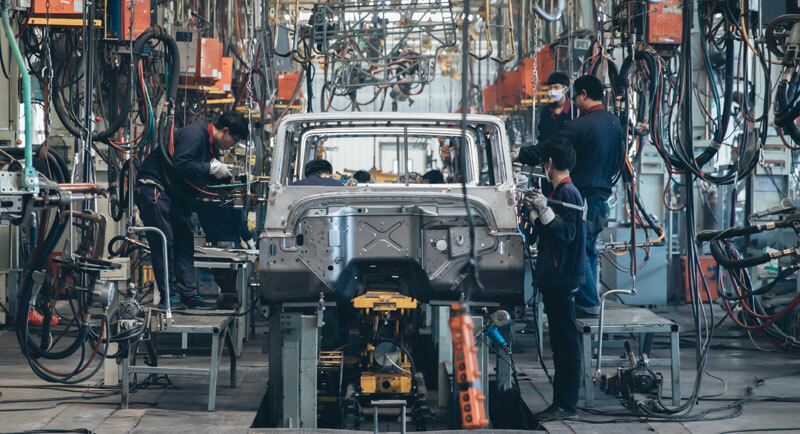 Yet, in the context of lean initiatives, debates crop up regarding the role of preventive and predictive maintenance versus Total Productive Maintenance (TPM). Are preventive and predictive maintenance tactics sufficient? Isn’t TPM a separate initiative, a secondary consideration, or just plain extraneous to a primary lean implementation? Or, should lean and TPM be interconnected? In too many companies, equipment initiatives stop with preventive and predictive maintenance. TPM is a capability built on total asset reliability—and total employee involvement. More than traditional preventive maintenance, it is a systematic, data-driven process that fosters an efficient partnership between production, maintenance, and engineering, and that engages those closest to the work. It results in an organization’s ability to transition from reactive to proactive maintenance and to create low cost, even free capacity. More importantly, TPM has a dramatic impact on your organizational culture, overall operations— and your bottom line. It frees up valuable production capacity without the drain of capital investment. The direct and measureable results are better performance, increased capacity, improved quality, decreased scrap and waste, and increased reliability and efficiency. Without TPM, achieving lean flow is not possible; therefore TPM should be an integral part of any lean transformation. 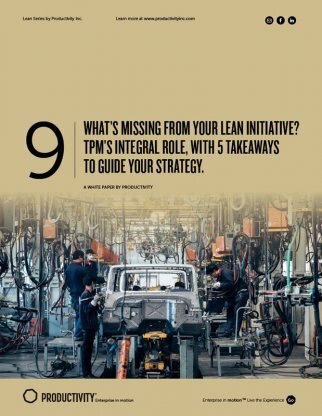 Download the file : #9 White Paper What’s Missing From Your Lean Initiative?